Call this an act of terrorism in any and all references you make to it in your mind, in conversations with others and in articles or social media posts. It meets all of the definitions: an act of violence targeting defenseless civilians to achieve a political goal and to instill fear and trauma. Despite this, some news outlets such as Fox have conspicuously avoided referring to what happened in New Zealand as terrorism. 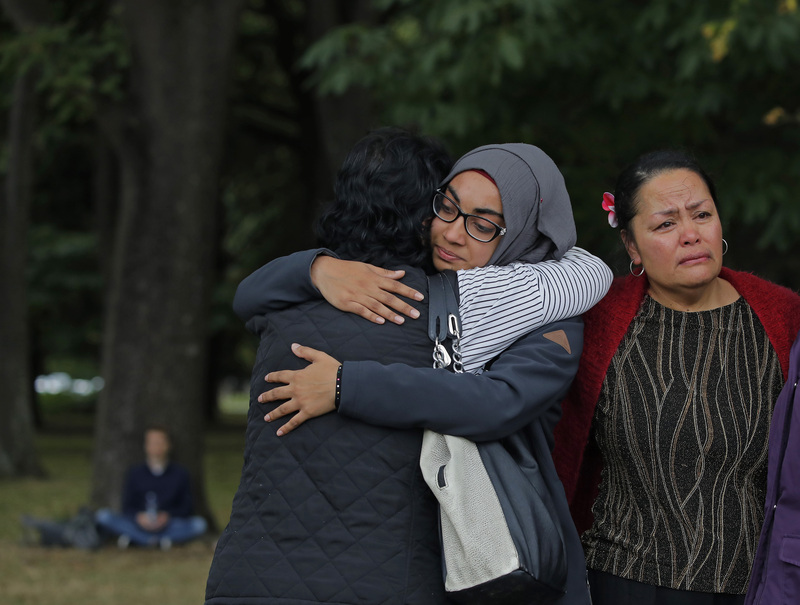 When Muslims are solely defined as the perpetrators of terrorism and not the victims, it gives fodder for the hatred fueling attacks like the one in New Zealand. The reality is that Muslims are the most numerous victims of both violent groups like ISIS and of military and state security actions by the United States and other countries. Of course this was a horrendous attack on innocent people & their their religious belief but as I read on I can sympathize with Anthony Esolen’s departure from Providence College where I assume there are a multitude of safe places just like my alma mater,St, Joseph’s University. This violent action can only be countered by our intense prayer to God who is the Father of all. God bless you yes we need to stop this senseless violence but we also need to stop the killing of innocent Christians by Muslims as well. When I'm confronted by someone in pain after having lost a loved one, I can't help but respond, yes, I too have lost loved ones and they matter more to me than your loved ones. Goes over big. Karma? Are you Catholic? And talking about Karma? Karma affects your NEXT life, not this one. That is, any karma that happens in this life is from your previous life. Current actions don't bring about karma in this life. It's also a shame that many priests took part in the slaughter of the Natives in the lands they tried to convert. It's a shame that priests raped little kids with impunity while their bishops defended them. It's a shame that you don't seem to know Christ. I live in Christchurch, New Zealand. Christchurch has gone through two large earthquakes, the second of which laid waste over 80% of the CBD and a large portion of East Christchurch. We are still 8 years on getting over this momentous event. Then last Friday 15 March, a terrorist, gunned down over 100 innocent people worshipping in two city mosques. Many of us are wondering why these events have been visited on us. Our young Prime Minister has shown she is a world leader with her leadership in stark contrast to other more powerful world leaders who seek to divide and slander with racist and hateful comments people who hold different beliefs and views to their own. The writer of this article is so correct - reach out to those who are wounded. Saadia Ahmad is an adjunct professor at Providence College and a recent graduate of the master’s program in conflict resolution at the McCormack Graduate School of Policy and Global Studies at the University of Massachusetts Boston.